The need to be effective in the marketing, selling, manufacturing, distributing, and sourcing products requires more consistent and higher quality product information. This is where product information management (PIM) has great potential, and as I have attested is the responsibility of business to lead the process and technology improvements. Of course for PIM to be efficient IT needs to support business leadership to improve PIM and ensure access and integration of data and applications. 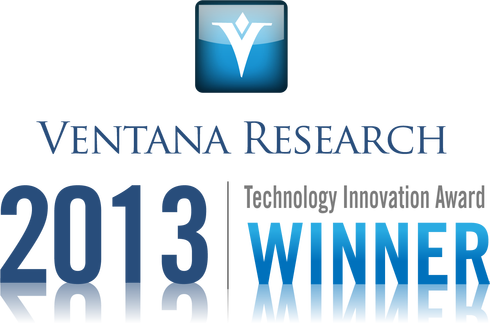 One of the technology providers that help in this mission is Agility Multichannel, a software supplier that I have been tracking for many years and rated the highest level as a Hot Vendor in our 2012 Ventana Research Value Index for Product Information Management. In the scope of PIM its product has the ability to handle a broad range of channels of interaction for product information, from traditional print and electronic layout to email, portal, mobile and commerce interfaces across the life cycle of product information. We awarded Agility Multichannel our Technology Innovation Award in Service and Supply Chain for its Agility product and its 5.2 version that is generally available. In summary Agility was recognized for what it is doing to simplify PIM to enhance the usability and overall supply chain of products, from commerce to manufacturing and suppliers. This focus on keeping PIM simple but usable along with being more automated is essential, as our research on PIM finds that 45% of organizations still use manual processes, which can create errors and just as important waste time. Innovation is also found in the adaptability of PIM with its Agility Modular Interface (AMI), which gives control of configuration and extensibility of Agility to its customers. This is essential, as PIM must adapt to the business processes and information requirements of each organization. Let me review more of what I know about Agility from analyzing and recommending the product over the past several years and outline why it was a recipient of our Technology Innovation Award for 2013. Agility provides the ability for a wide range of business professionals – from marketing, product and associated content managers and merchandisers to manufacturing staff and others in the supply chain – to have consistent product information. Its web-based interface, which is available in a software-as-a-service (SaaS) approach, makes it simple to sign up and use the product. Agility is easy to configure for use by different roles in the organization, making it even more intuitive. To ensure tight integration with product processes, the application sets up workflow that connects people to processes, supporting real-world review and approval and enabling participation of individuals in the product information processes. In addition, the application provides a single page where you can search and find products, review and update information from attributes and other aspects of products in a highly functional manner, without the need for changing windows and context within the application. It is very simple to navigate products and hierarchy and see information in one screen. Many other PIM products do not provide this level of simplicity and are not able to customize the user interface for the individual or lack simplicity in the workflow of creating, improving and distributing product information. In contrast, Agility is simple and enables organizations to adapt the application to the needs of different users and roles. By providing this breadth and depth, Agility can help address the top barrier to a single version of product information: having too many incompatible tools, according to 48 percent of organizations according to our product information management benchmark research. These are just a few examples of the application’s usability and simplicity, which you can easily see in a demonstration. Agility’s AMI helps extend the application in many ways by enabling it to be further adapted through what the company calls gadgets, which are built through an AMI toolkit. For example, Agility used it to demonstrate how a preview gadget can be used to quickly see what a user would see when accessing product information. Many of its customers have built custom interfaces like product viewing that are integrated into its commerce and supply chain processes, providing a unique experience to individual customers. The gadget approach makes it easy to extend and basically snap into the user interface through a publish and subscribe interface. This is also how organizations can create and deploy product information in what are typically called portals to the supply chain of distributors, manufacturers and suppliers. This approach provides a great level of adaptability for Agility customers across users, processes and applications and has also expanded its integration with data across applications and systems by embedding Pentaho data integration software offering. The importance of adaptability should not be underestimated, as almost half of organizations (49%) in our research cited it as a very important consideration in evaluating vendors and products, higher than any other consideration. Addressing the newer demands on PIM, Agility also supports the layout and viewing of product information on mobile technology like tablets. It also enables the required versioning of product information and supports many languages and translation of product information across many channels. Agility has some places for improvement, however, including the robustness of its analytics on product information. Overall the application’s manageability, adaptability and usability provide significant value, offering capabilities that enable business to take control of its responsibility for product information management. At the same time, where IT is needed, it can be assured that the right levels of conformity to systems and system security are adhered to in the application. The product can easily meet the needs of small and medium-size businesses and is now more than ready to be used by larger organizations. A number of companies currently use Agility, including Avon, Allied Electronics, West Marine and many others. 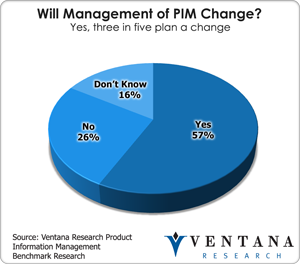 Considering our benchmark research finds that three in five organizations plan a change to their management of product information, Agility Multichannel has a good opportunity to help these organizations with a simple but sophisticated PIM offering. If you have not seen Agility, you should, and we congratulate Agility Multichannel for receiving our 2013 Technology Innovation Award and its commitment to the simplicity of PIM for business. GDPR: Business or Technology Vendors Ready or Not?